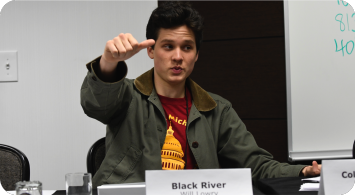 The National Issues Forum (NIF) is a unique program that offers opportunities for high school delegates to debate and research issues of national and/or international importance. 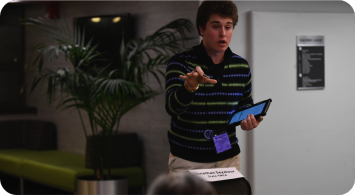 In Lansing, the National Issues Forum uses a format where proposals are presented to delegates in four successive rounds (each of increasing size) at “Proposal Hearings”. A Chair leads delegates in each forum. Every delegate will have several opportunities to speak. At the end of each round, delegates will rank the proposals presented using specific criteria. Each proposal’s composite score from these rankings determines the proposals that advance to the next round. In General Assembly, (“GA”) the fourth and final round, the top proposals are presented by their author to the entire National Issues Forum, where the proposal is passed or defeated.